If You're new here, be sure to Pick Up Your 10 Day Video Training Series Valued at $197 - Yours FREE! Delivered Straight To Your Inbox. In this EZ Money Formula Review, we’ll take a close look at this so called “free” system created by Mack Zidan and the B.A.M.M. crew to learn it’s true intentions, enabling you to make an informed decision. EZ Money Formula – What Is It? The EZ Money Formula is advertised as a 100% free system that enables you to earn from multiple income streams. Being in the Internet Marketing space for some time now, I know the advantages of NOT putting all your eggs in one basket and earning from several dozen income streams. Think about it – if you were to lose your J.O.B. (or your primary source of income) today… what would you do? One of the many advantages of operating a business online is automation. Once you do the work, your work works for you and you can continue to grow your income streams. EZ Money Formula was created using this basis. Now, don’t get me wrong, I strongly believe that you should focus the majority of your energy on one primary income stream, ensuring that income stream becomes profitable, and then have other streams support your primary focus. I’ll be the first to tell you – you won’t get ANYWHERE jumping from one income stream (or opportunity) to another without first automating and / or making your first income stream profitable. I have been fortunate enough to build several 6 figure businesses online using this EXACT method. I would automate a primary income stream and then support that stream by selling the tools that I use to build the primary stream. The only problem… when teaching it to others, they could not (or were not willing to do the work necessary) to replicate or duplicate the process. That is … until now. Mack Zidan, a well known name in the home business arena, has mastered the process of automating income streams and has now removed the challenges people face when trying to do it on their own. Generating traffic is simple. The hard part is converting that traffic into sales. I can show ANYONE how to get traffic (and this is taught within the EZ Money Formula back office and in my Exclusive team bonuses when you decide to partner with me), but not everyone has the skills, or the ability to convert that traffic into money. It’s something that I see hundreds of people in our niche struggle with daily. Here’s where EZ Money Formula comes in. EZ Money Formula is essentially a sales funnel that combines what we have seen to be the most profitable 100% commission based program online (Empower Network) along with the tool that we use to build that income stream (Pure Leverage). EZ Money Formula is the 100% free system that sells Empower Network and Pure Leverage to your traffic. You see, you could easily just join Empower Network and Pure Leverage completely bypassing EZ Money Formula, but if you don’t know how to convert your traffic into sales, it’s likely that Empower Network and Pure Leverage will not be profitable. What EZ Money Formula does is use the extreme selling power of one of the most well known names online – Mack Zidan. By using EZ Money Formula, you are getting complete access to Mack’s sales funnels, highly converting videos, and the exact same system that he uses to generate over $283,000.00 monthly. I have always been a firm believer that when you create your own sales funnels, with your own videos, you will often see better conversions… that is, if you are good at conversion. Well, I decided to test Mack Zidan’s EZ Money Formula WITHOUT adding my own videos and sales funnels and to my surprise, it converted BETTER than previous testing. Surprisingly – I have not added a single video of my own, or added a single follow up message to the sales process, and I continue to remain on the leaderboards for both Pure Leverage and Empower Network. It is for this reason that I give EZ Money Formula my 100% seal of approval as this proves that ANYONE who drives traffic to the system can make money…. EZ. Click expand (lower right) to view full screen and < to share. In conclusion, it takes a lot for me to recommend a product or service. I have to personally use it, see its benefits, and know that it’s value far exceeds its price (and in this case the price is ZERO, yet valued in the thousands). I have to see and truly believe without a shadow of a doubt that the product or service will help those that I recommend it to. EZ Money Formula falls into this category. Simply join the EZ Money Formula below, and I’ll immediately send you access to exclusive membership site valued in the tens of thousands of dollars once you complete all the steps within. PS … What are your thoughts? Leave your comments and questions below on Mack Zidan’s EZ Money Formula. 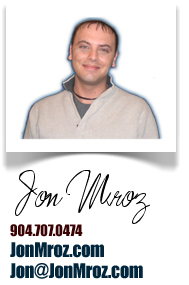 Get to know Jon Mroz here.